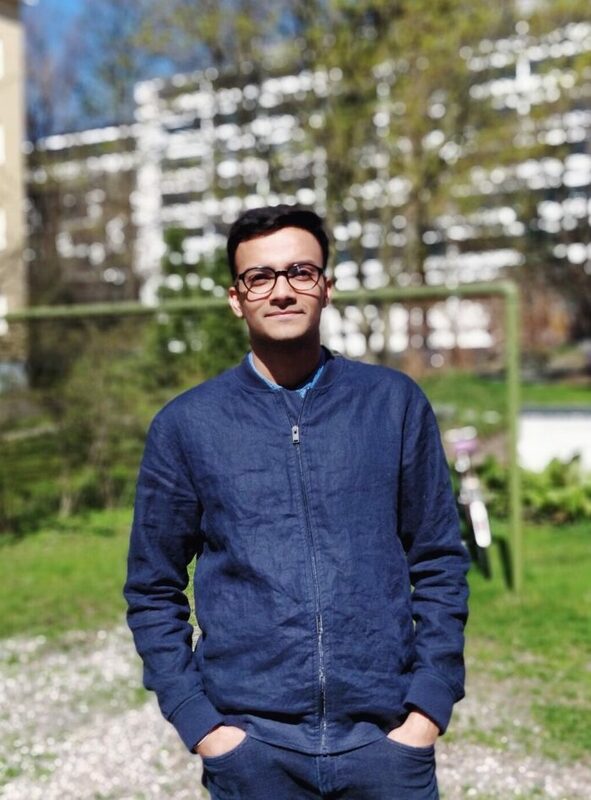 Industrial and Strategic Design alumnus Kaushik Eshwar Sriraman currently works at Ericsson Finland. How he got there and what he likes most about his work there, we wanted to know. Kaushik, when and what did you study at Aalto? I started at Aalto University, School of Arts, Design and Architecture in 2011 and graduated in 2015. I majored in Industrial and Strategic Design and also completed a minor in Entrepreneurship from Aalto Ventures Program. What did you do before you came to Aalto and what made you want to come study your MA here? Before Aalto, I worked at a Product Design studio in New Delhi, India – called Think Design Collaborative, for a couple of years. It was during this time that I had the opportunity to consult/depute at Whirlpool India’s Global Design Center where I played a part in designing water purifiers, refrigerator components and washing machines. My mentor at Whirlpool was the one who encouraged me to expand my study in a more “strategic” design discipline. From there, the journey to Aalto’s Industrial and Strategic Design program was quite straight forward. Do you remember your first impression of Aalto University and its people – if yes, what was it? My first impression of Aalto was that things were very ‘open’ – in many different ways. Our professors and study coordinators were always open to chat about things and to help out when we needed it. The structure of our study program was quite open too – in a way, that we could design our curriculum to suit our interests or give ourselves the room to explore new ones. The school doors were (almost literally) always open, we’d have late evening meals in school, we’d work late into the night, we’d screen movies and watch them together (with permission, of course). My classmates and the staff at Aalto welcomed people from different parts of the world. Even now, as an alumni, this is the predominant impression I have of Aalto University and its people. I currently work at Ericsson, Finland as a User Experience & Service Designer. Ericsson is a multinational networking and communications company headquartered in Sweden. We develop hardware, software and services for information and communication technologies. I remember a colleague of mine who explained what Ericsson does in simple words. He said ‘if you can imagine the water supply network – of how water is extracted, treated, distributed, collected and consumed – we lay the pipelines for water to flow through.’ In saying so, he explained that Ericsson develops and manages the infrastructure for the flow of data through the communication network. How easy was it to get hired by Ericsson? What was your journey like from graduating from Aalto to working as a Service Designer at Ericsson now? In 2013, when I was still in university, I started with the Product Development Project (PDP) in Design Factory. I was part of an Indoor-Positioning Technology project that was sponsored by Ericsson. Soon after PDP, I was offered a summer internship at Ericsson and stayed on to do my Thesis Project. I have been in Ericsson ever since. Transitioning into Ericsson as a Designer has been a journey in itself. In my first few months, I spent most of my time simply visualizing complex technical diagrams as a way of learning what was going on, for myself, but also as a communication tool for everyone on the team. While I spent most of my time doing this, I also went out of my way to facilitate some internal workshops for our team. Soon, I was given the opportunity to co-facilitate larger customer workshops. I probably spent a good part of my third year at work organizing and analyzing these workshops. Over the past two years, I have spent most of my time designing the user experience for some of Ericsson’s digital services. What is it like to work at Ericsson Finland? What do you enjoy most about it? It has been quite an experience working in Ericsson Finland for the last 5 years. I have worked on a handful of projects within the company; and with every new project I have learnt to see the company in a new light. I really enjoy initiatives that the people of Ericsson Finland put together themselves. Internal Hackathons, inspiring talks by industry thought leaders, development team TechTalks, sports club activities, engagement with universities, innovation challenges, etc. are quite common at the site. There’s a lot to be inspired by on a daily basis (provided you get your head out of the computer every now and then, and give an ear to what’s happening around you). My biggest takeaway from Ericsson is definitely the people I have worked/interacted with. What has been your favorite project there? Oh! That’s a tough one. 🙂 I have indeed enjoyed all the projects that I was a part of. However, my most favorite project, I think, is an on-going one that I have given myself – which is to spread Design Thinking in an organization as large as Ericsson. And the way I get to do that right now, is to showcase the impact Design and designers can have in the day-to-day work of Ericsson. Of course, I’m not alone in this endeavor, there is an entire design community across all the Ericsson sites who (officially and unofficially) work towards the same goal. Any challenges you had to overcome during your time there? In school, design projects are handed to you as a student, and a lot of the load-lifting, when it comes to setting up the project, defining the scope and negotiating contracts, is done by professors and staff. That’s something they often don’t tell you in design school, because the emphasis is on the design process and not so much the administration of the design project. Being one of the few designers at Ericsson Finland requires me to scope out a piece for myself as a designer. To find the right people to talk to, to define your own design brief and then to actually design – all with very little resources at hand – is indeed quite a challenge at times. Was there something at Aalto that influenced you especially, looking back, – that possibly even changed your way of thinking or doing things? I think Aalto’s multi-cultural environment really forced me to think about how to communicate – in general. We were surrounded by students from so many parts of the world, who had to work together closely. I believe this has really influenced the way I communicate today (in a good way, of course). How do you think your studies have helped you in getting where you are today? Would you want to have done anything differently? Studying in Aalto has definitely helped in getting me to where I am today. As mentioned above as well, I got into Ericsson and to my current job through the Aalto PDP course. It’s quite rare, especially after school, to get an opportunity to interact with so many different companies in such an open atmosphere. And I find that Aalto helps create these situations for students in many different ways. I would have done more courses in other departments/schools though – like sculpting, print design, ceramics, sound design, game design, etc. I still feel like that’s something I missed out on. But then again, I suspect that students will always leave Aalto feeling that there was so much more that could have been done. Any vivid dreams for the next years ahead? Of late, the issue of sustainability at large is something that features quite a lot in my head. And I am always trying to figure out how I can work that kind of thinking in my day-to-day work and my work-related hobbies as well. In particular, issues related to our food systems, in various stages of the food chain, from producer to consumer, has become of great interest to me. In the next 5 years, it would be great to start working on projects that actively address such complex problems in the world that affects almost every single human being. What can you recommend to current students on how to make the most out of their studies and who might be anxious about finding a job in Finland after graduation, especially as a non-Finnish speaker? Stay open to how your environment can help you become a better designer/person. These positive influences/opportunities usually come at unexpected times and in unexpected ways. Trust in the school and in the people around you, as you would in the design process. Talk to as many people as possible about your ideas/thoughts. I have seen great things happen inside and outside Aalto that come from such interactions and collaborations. Don’t forget that the world outside the school walls can be a learning environment too. Take a course (or two) you never thought you would take. About finding a job in Finland, not sure if there ever is a silver bullet to this. However, I have observed that companies are a lot more comfortable giving away internships and projects versus permanent jobs. And that’s fine for a start and in fact, a great way to get your “foot-in-the-door” to prove your metal as a Designer.